Nine has picked up the rights to the David Attenborough-presented Blue Planet II from BBC Worldwide. The 7 part series which looks at the earth’s underwater worlds and is a follow-up to 2001’s global hit Blue Planet. The series has now been sold to 30 countries ahead of its international premiere at Mipcom, according to C21. 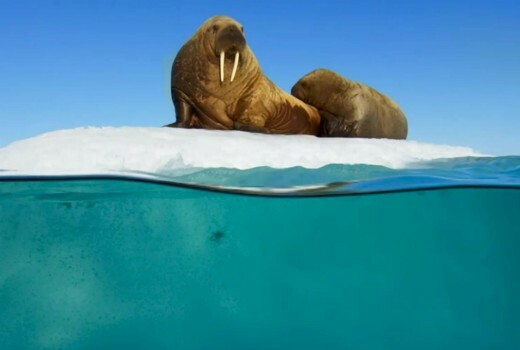 “Blue Planet II is shaping up to be another big international hit, hot on the heels of the hugely successful Planet Earth II, said Paul Dempsey, BBCWW’s president of global markets. Nine is likely to confirm its acquisition at its 2018 Upfronts this afternoon. Most fans of doco’s like these won’t bother watching it on nine, due to watermark, annoying constant ad-breaks and the intrusive ads on bottom of screen while program airs, they didn’t air Planet Earth II until it was out on bluray and dvd overseas, the same will go here. People will buy the UHD 4k Bluray of this rather than watching it on channel 9. Yes, well sorry Nine but don’t want to see this cut to 40mins/hr and defaced with hideous red and yellow graffiti. Much as I will be watching it, that will be by other means, or local library DVDs. A great pity about the ad breaks and in show screen clutter to which this will be subjected-love a good nature doco, but not that way!